Tim Southee ripped the heart out of the Bangladesh top order batsmen to give New Zealand another convincing ODI win and complete a 3-0 whitewash in the Series. 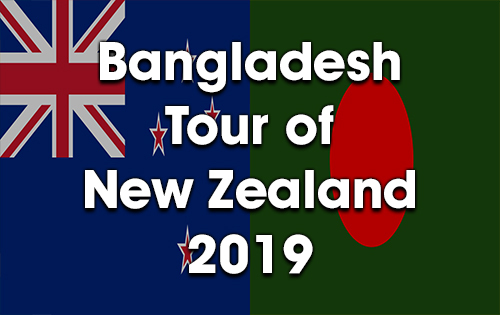 Bangladesh won the toss and decided to bowl against New Zealand in the 3rd and final ODI of the series at the University Oval, Dunedin today. New Zealand seal another bilateral ODI series victory over Bangladesh at home! Asked to bat first, New Zealand set about accumulating 330-6 in their 50 overs. This time Henry Nicholls 64 ,Ross Taylor 69 and Tom Latham 59 scored the bulk of the runs with Jimmy Neesham 37 and Colin de Grandhomme 37* also contributing towards the end of their innings. In reply, Bangladesh had a disastrous start with Tim Southee taking the wicket of the top three batsmen leaving them 3-2 at one stage. A remarkable century by Sabbir Rahman 102 supported by Mohammad Saifuddin 44 helped Bangladesh to a face saving score 242, with Southee taking afurther 3 wickets, finishing with match figure of 6-65.